Love to feel more in control of your working day AND see significant business growth? Here are four grown up business routines you need to adopt. Successful businesses don’t happen by accident. Yes, sometimes you can stumble across a lucky break and achieve short term (and often short lived) success without really working for it. But sustained, serious business growth is carefully planned and consistently worked towards. This is something we ourselves have learned over the past six years. We started out by stumbling through big and small mistakes as we navigated our business through the early months and years. But as our audience grew, we realised that our business needed to grow too. And more importantly, it (and we) needed to grow up. Is your business ready to grow up? What do we mean by that? In simple terms, we needed to stop trying to wing it with the expertise and experience we currently had, and allow our business to try flourish by investing in proper business skills and guidance. For us, this meant investing in coaching. In seeking out people with expertise we lacked, and a perspective on our business we could never have because we were too close to it. And this investment has paid off many, many times over. Over the past few years we’ve worked with a carefully selected number of coaches who each contributed an important expertise and perspective to our business that has enabled it to grow up – and allowed us to flourish as business owners. But if there’s one simple outtake we could share with you right now to help you make positive, grown up changes in your own business (aside from investing in the right business coaching), it would be to start establishing proper routines. By this we don’t mean just checking your business social media accounts every day (although this is certainly important), but instead adopting the kind of systems that bigger businesses and successful entrepreneurs rely on to manage growth and ensure their business is going in the right direction. And to help you follow in our footsteps, here are four routines we recommend adopting if they’re right for you – whatever size your business is. Regular goal-setting is one of the most important business routines to put in place. Setting a goal for sales each quarter, for example, or for how many calls you’ll make each month, allows you to be more intentional every day. When you know what you’re striving for, you can take the steps you need to grow your business. When doing your goal-setting each quarter, start with a larger SMART goal and then break that down into smaller tasks to be completed. Don’t forget to base your goal on data or previous experiences so you know it’s possible and can set yourself up for success. Finally, write your goals down so you can track whether you’ve hit them as you write goals for the next quarter. Employees want to be heard and know what they’re doing right and where they can improve. In fact, according to Forbes, one of the top reasons employees quit is because they’re being overlooked or not heard. That’s why why this is a critical business routine to implement if you have staff. Not only is it a chance to let them know how they’re performing in their job, but they can do the same for you, allowing you to find ways to improve as a leader and business owner. So book in 1-on-1 monthly meetings with each employee as a feedback session. Keep the conversation open and constructive, using specific examples to help each employee understand how they’re doing. As your own boss, it’s easy to avoid setting a rigid schedule. However, doing so helps you stay on track every day and avoid distractions. Wendy Connick, a writer for The Balance, says this can be as simple as planning just one day ahead. Use a task tracking tool to keep everything organised, like GoogleKeep or TickTick. As you complete tasks, you can check the box, which – as an added bonus – gives you a slight adrenaline rush that motivates you to continue completing tasks ahead of you. Need help writing a list that really works for you? Try the daily Success List. It’s easy to feel like you’re getting nothing done throughout the day, especially if you’re constantly putting out fires or having to answer emails. To stay on track, make check-ins a regular business routine, says Kevin Sealey, VP of Operations for EPOCH. Knowing what you’ve completed, what’s still outstanding and what can be put off until tomorrow allows you to prioritise more effectively. As a busy business owner, this keeps you in touch with what needs to get done each day, regardless of what comes up. What business routines will you set? How many of these routines are you currently using? And which ones will you adopt? Please don’t just read this article and do nothing if it resonates with you! 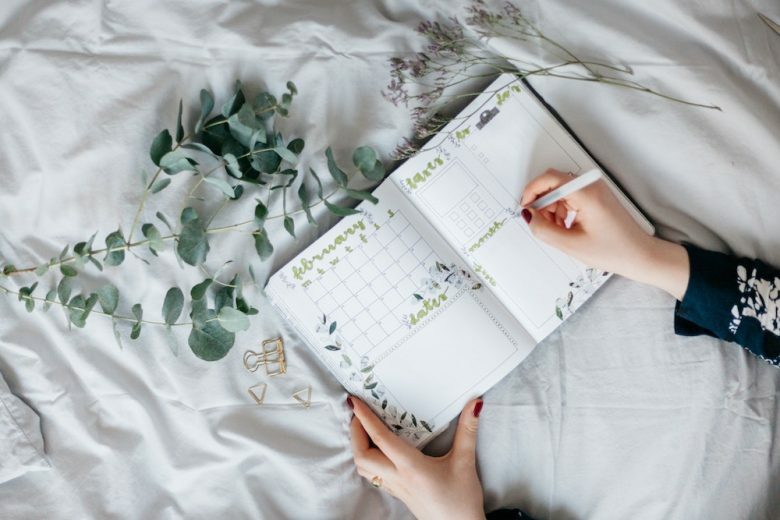 While adopting new habits can feel like a burden at the outset, we promise you that once you get into the routine of using good business practices they’ll become second nature – and you’ll love seeing the positive difference they’ll make to your business, just as they have done ours. Need more help to work on your business every month? You can learn more about TLC Team and get access to your first five business resources right now here.